Vincent Price was known as being the King of the campy horror movies of the 50s and this was pinnacle. His gothic, creepy delivery as a wax artist who seeks revenge on those who burnt down his museum is the selling point of this one. 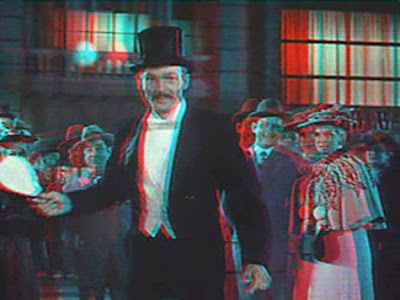 Oh, and the fact that this was one of the biggest 3D movies of the 50s; shooting ping-pong paddles at audiences definitely raises the cheese factor. The shocking thriller that had everyone afraid to shower. Although I feel like Psycho is not very scary today, it is the quality of the film that gives this a ‘classic’ status. Time and time again Hitchcock proved to be the best director of all time. His mastery of framing, tension and command over the audience is why this shocking thriller lasts. 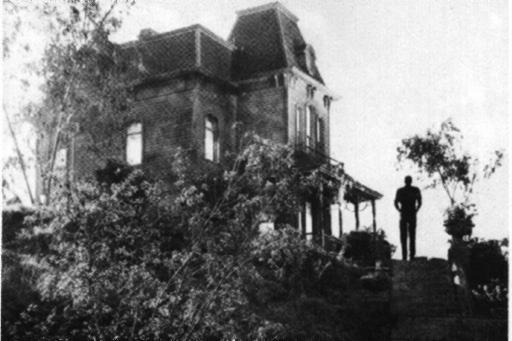 Not to mention the lasting impression of Norman Bates as one the creepiest characters ever. For me, this is probably the scariest and most unsettling film I have ever seen. It doesn’t have incredibly gory scenes or too many sudden jumps, it is just the atmosphere. The camera keeps you close with the potential victims throughout and forces to be in their unfortunate shoes. The faceless, speechless killer has no clear motives except that he is insane. You can’t reason with Leatherface. The haunting ending (pictured above) will have you terrified to journey out into secluded rural areas. After fairly straight forward slasher films like Halloween and Friday the 13th, this film is incredibly refreshing. These films depend on who their killer is and what their gimmick is. 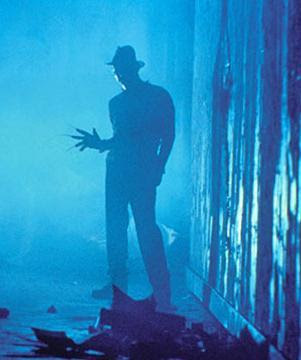 The murderer in Nightmare, Freddy Krueger, is an enigmatic ‘fun’ monster. He is dead and does not live in reality, but rather he exists in people’s nightmares. He is out for revenge in his victims dreams and that is where he kills them. Due to this fantastical setting, there are loads of entertaining visuals, and his cruel sense of humour turns a slasher film into an enjoyable time. I don’t enjoy this movie very much, but I certainly do appreciate it. In concept, Scream is a truly original look into the nature of slasher films. It is an introspective analysis of what these murder movies are all about. For once, the victims in the movie have seen real movies like Halloween and Nightmare, so when they encounter a killer in their universe (the unforgettable Ghostface), they understand that there are cliches associated with this situation (never walk alone in the dark, never assume the police will save you on time, never drop your keys when trying escape in your car) and using this knowledge they try to survive. Not quite a ‘psychopath’ film since you never see the perpetrator, but you understand that someone has caused all this mayhem. 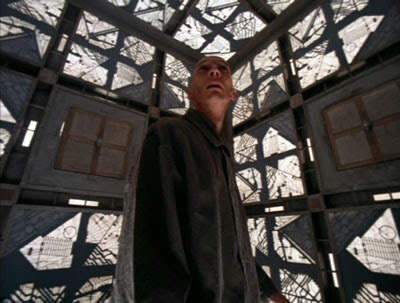 A handful of people wake up trapped in a cube with various exits into other cubes. The entire structure is a maze of rooms with no exit, and certain chambers hold deadly traps. The group must struggle to work together (despite their differences) and find a way out without dying. It is a simple, cheap and effective thriller. After the plethora of terrible sequels year after year, and countless rip-off horror movies, it’s easy to forget that this first introduction to ‘torture’ movies was actually very good. Two men awake in a sealed-off room with a dead body and they are both chained to the wall. A sinister voice orders them to perform various ‘tasks’ if they want to escape alive. It is gruesome, shameful and horrific but nevertheless is clever and an intense thriller for those who can stomach it. This is a little seen, under-rated film that unfortunately is only on DVD in the US. Compared to the other psychopath films, this one is fairly tame. But it is an incredibly effective murder mystery built on time-travel (of a sort). A group of sailors get caught in the Bermuda Triangle and become stranded on an eerily abandoned cruise ship. They find out that there is a killer on board, and that time starts to repeat itself. It’s confusing to describe but incredible to watch it unfold. I highly recommend this one. Great posts Peter. 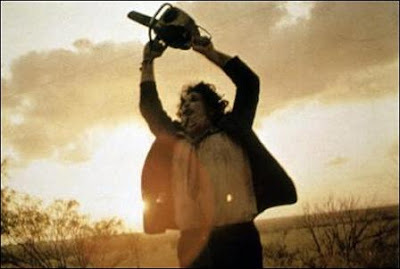 I've RSS'ed the blog and read all the horror guides. This one was my fave. Haha sweet, thanks! Someone likes his serial killers...!